In the small business game, making Sales is playing offense. If you play offense well enough, you can make a few mistakes on defense and still win the game. If your Sales are down, playing defense becomes more important. In business, defense is controlling costs. The business owners I know who make money every month are willing to play defense. There is no substitute for Sales. You need a minimum to cover essential expenses. What is that minimum? That’s what Budgeting is for…so dust yours off. What will you need between now and the end of the year to be profitable? What do you need every month? Set goals for next year, too. For Sales…and Expenses. And take a look at your defense. When times are tough, business owners without debt are breathing easier. A heavy debt load and interest can age you. What can you do to pay down debt? How about refinancing? Yes, the paperwork can be burdensome and time consuming. Still, dig into it. Get clear on what your debt situation really is. Comb through the Balance Sheet and make sure it is current and accurate. 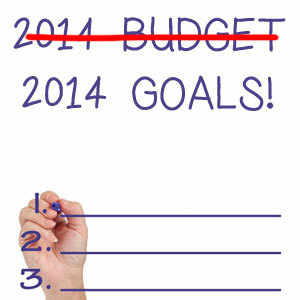 Now is the perfect time to nail down your Balance Sheet balances and get ready for year end. Before the year ends, you have a chance to change the situation. If this paragraph is making your stomach hurt, relax and take a breath. There is always something you can do to change the situation for the better. Think about what you want. Consider different approaches. Keeping score – up to date, accurate financial reporting – shows you what’s working and what needs to be changed. Confronting your debt is the first step in managing it. An ARC loan may be just right for you. And there are other SBA loans available. Learn more at… http://www.smallbusinesssource.net/ These loans are new, and your banker may not know how to pull one together. Be like a bee in his or her shirt and move the application through the process. This is a good time to reduce and restructure debt. Have you read The Richest Man in Babylon by George Clason? It was written during the depression (the other one) and it offers timeless advice for digging out of debt and expanding wealth…no matter what your current situation is. Next, drill down on your Expenses. Where can you lean down? There is a financial term: Zero-based Budgeting. It means that when you Budget, you don’t base your projections on past Expenses. It means you go through every Expense line and ask, “What do I want and need to spend on this?” regardless of what you have done in the past. There is a joy in paring back. Move towards simplicity. We acquire so much crap. What do you really need and want? Personally, for your business, trim down without making it a sacrifice. Be Zen-like about it. See if you can find and enjoy the space as you empty the room. You may find some pennies to save. If you are looking to save dollars, you’ll have to address your biggest Expense. Look over your Income Statement. People are the big Expense. As it should be! The idea in business is to make money…for yourself, your family and the wonderful people who work with you. People help you make money! You couldn’t be in business, be of service, without them. Keeping score allows you to see the effect of your efforts. Sell stuff for more than it costs and you make a profit. Collect the money now and you keep the cash flowing. No big mysteries here…business is easy. By paying attention to the financials, you can make better decisions about managing your Labor Expenses. If Sales are down, and you continue to pay the same team as when Sales are up…your Total Gross Wages as a Percentage of Sales will spike. It’s your key defensive statistic. Watch this percentage and manage it if you want to make money every month. Track these numbers weekly…and by the end of the month, eyeball them daily. Total Gross Wages for ALL Team members at 30-33% of Sales. Total Field Gross Wages in the range of18-20%. Gross Wages…don’t include Payroll taxes in these numbers. NOTE! Your Budget numbers are senior to my suggestions or any kind of industry average (our industry averages aren’t so hot.) Crunch the numbers, dollars and percentages on paper and Excel first. Pull your target goals from there. If Field Gross Wages are in line with your goal, and Total Gross Wages are too high, the problem may be too many people on the inside. Note that your salary is included, too. There are no judgments here…just pay attention. You can make the percentages come back into line by playing offense: Better Sales, raising your prices, improved Marketing and Sales techniques. Or consider…do you need to play defense? When you are losing money, you may have to make some tough calls, like sending someone home. Send people home when the Sales don’t support the Labor. You could ask someone to stay close to the phone and jump back in if a call comes in. The point is: Manage your Labor Expenses. Playing defense also involves taking the blinders off. Who, on your team, is not contributing enough? Who needs to go…for good? If you really wanted to keep a job, would you do it to the best of your ability? Would you blow off the simple tasks? Would you leave work undone? Would you whine and complain about the other guys? Or would you dig in and make a difference? I hope you never get to the point where you love firing someone. But consider your responsibility to team members who are making things happen. Let the non-performers go. I will spend 3 days with you, side by side, and we’ll look for ways for you to be more successful. You will demonstrate that you can and will do what is required by your Position Description. As the leader of your team, you are expected to make the tough calls. Yes, it is more fun to play the game when your offense has created some margin for error. Champions take the field and do what is necessary to win the game. Sometimes you fail. Sometimes you pull off the victory. This business business is pretty simple. Focus on the few things that make the most difference. Be willing to play offense…and defense.